There has been an exceptional raise in the levels of fine particles in the atmosphere over India, especially those generated by human action, according to research published recently by a team of Indian scientists. Such particles, known as aerosols, contribute to the rising levels of pollution in India. According to the latest report, India has bypassed Japan to become the world’s third largest Internet user after China and the US. Indian users are significantly younger than those of other emerging economies. 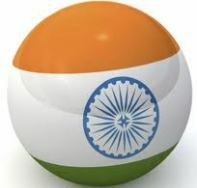 India now has nearly 74 million Internet users, a 31 per cent increase over March 2012, the report says. Recently, Telecom Regulatory Authority of India (TRAI) pegged the number of Internet subscribers in India at 164.81 million, with seven out of eight accessing the Internet from their mobile phones. In a development that brings out the online convergence of love for Tamil and passion for free software, Mozilla Firefox – a free, open-source web browser, considered one of the most secure is now available in Tamil. 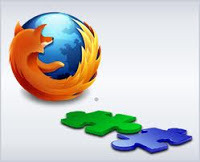 A group of over 10 volunteers who have been translating the browser menu and other settings into Tamil, for over a year now, have confirmed the browser can be downloaded from the Mozilla website. Astronomers have spotted the lowest-mass planet ever detected around a Sun-like star in the constellation called Virgo. Using infrared data from the Subaru Telescope in Hawaii, an international team of astronomers imaged the giant planet around the bright star GJ 504. Several times the mass of Jupiter and similar in size, the new world, dubbed GJ 504b, is the lowest-mass planet ever detected around a star like the sun using direct imaging techniques. rahMos, the world’s first supersonic cruise missile developed by the Indo-Russian joint venture BrahMos Aerospace, has already bagged orders worth Rs 25,000 crore from the Indian defence forces. It has attracted world attention mostly because of the flexibility of using multiple platforms to launch the 290-km- range missile and low cost. Russia, which holds 49.5 per cent stake in the joint venture, has already indicated its willingness to allow for export of the missile to some countries, while India is yet to take any decision. Yahoo Inc acquired email and address book management app Xobni. This is Yahoo's third acquisition in as many days as it seeks to revamp its online products and boost its Web traffic. The deal is the latest in a string of acquisitions by Yahoo since Marissa Mayer became chief executive a year ago, vowing to boost traffic to Yahoo's online services and to revive the company's stagnant revenue growth. Last month, Yahoo closed its $1.1 billion acquisition of blogging service Tumblr, the largest deal by Mayer. By this acquisition, Yahoo acquired 3 companies last week including Qwiki, a mobile app that creates mini-movies using a consumer's collection of photos and videos and Bignoggins Productions, a mobile app to help players of fantasy sports teams. Indian Space Research Organisation’s scientists and engineers began to look at the possibility of establishing a navigation satellite system for the country from 2004, rather like America’s Global Positioning System (GPS). The GPS requires a constellation of 24 orbiting satellites, supported by a global network of ground stations, to cover every part of the world. That kind of global system is expensive. ISRO had a more limited goal — creating a system wholly in India's control for providing navigation signals over this country and surrounding areas. 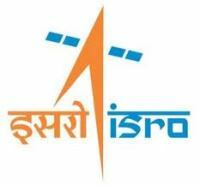 The configuration that was finally chosen by Indian Space Research Organisation for the Indian Regional Navigation Satellite System (IRNSS) required just seven satellites. Yahoo is buying blogging network Tumblr for about $1.1 billion as CEO Marissa Mayer seeks to lure users and advertisers with her priciest acquisition to date. Tumblr, headquartered in New York, will continue to host its more than 108 million blogs, while CEO and founder David Karp, 26, will remain in charge of the website. Mayer, CEO of the biggest US Web portal since July, is betting that Tumblr will help transform Yahoo into a hip destination in the era of social networking as she challenges Google and Facebook in the $17.7 billion display ad market. Adding Tumblr is expected to expand Yahoo's audience by 50% to more than 1 billion monthly visitors, and increase traffic by about 20%. Last week, Astronomers discovered flux ropes in Venus’s ionosphere, above the poles. The flux ropes are magnetic entities stretching for more than hundreds of kilometers. Astronomers were boarding the European Space Agency’s Venus Express Spacecraft. Flux ropes have been seen before around other planets, including Earth. They transport superheated plasma gas from one end of the rope to the other. Flux ropes are formed on Earth near the face of the planet opposite the Sun. The stream of charged particles called as the solar wind flows around the planet and thus a magnetotail of charged particles on the other side is created. Unlike most other planets in the Solar system, Venus has no magnetic field. The ionosphere of Venus acts as an obstacle to the solar wind. The ionosphere of Venus remains unmagnetised most of the time, but when the solar wind reaches a higher pressure than the surrounding atmosphere it gets magnetised. In these conditions, relatively small flux ropes can form because of the higher speed of the solar wind blowing over the slower ionosphere. The flux ropes on Venus form from solar particles on the side of the planet facing away from the Sun, in the magnetotail. Scientists at the University of Edinburgh's School of Biological Sciences discovered that the oldest known super predator of the world was the marine crocodile named Tyrant Swimmer. This recently discovered oldest known super predator of the world, a marine crocodile was a toothy beast which looked partly like a shark and partly like a threatening dolphin. This super predator basically is known to be from the shallow marine areas across Europe, primarily Poland, England and France. Around 165 million years ago, a lot of Europe was completed covered by the shallow sea, which also led to the formation of large to small islands. The researchers from the Centre for Energy-Efficient Telecommunications (CEET) and Bell Labs claimed that internet video and associated cloud services including Information Communication and Technology, discharge more than 830 million tonnes of Carbon Dioxide per year. This emission of the CO2 from the information and communication industry includes about 2 percent of the global CO2 emission annually and it’s expected to double nearly by 2020. The aviation industry also shares the same amount of emissions. To control this emission, the researchers have suggested measures like development of accurate and feasible model taking into account the energy use, data traffic and CO2 production in the networks as well as use of other elements in the ICT industry. The researchers from the CEET and Bell Labs following their new models of emissions and energy consumption have suggested three key factors that would help in reduction of the CO2 emissions from the ICT industry and these are efficient usage of facilities, use of energy efficient equipment and use of renewable energy sources. World IPv6 Launch Day began on June 6th. Global transition from Internet Protocol version 4 (IPv4) to Internet Protocol version 6 (IPv6) began on June 6th. In India 27 websites have been brought on IPv6 platform. Further, a direction has been issued to all the Government organizations to migrate their websites to IPv6 (dual stack) by December 2012. As IPv6 is not backward compatible with IPv4, the transition to IPv6 is likely to be a complex and long term exercise during which both IPv4 and IPv6 will co-exist. India has at present 35 million IPv4 addresses against a user base of about 360 million data users. In addition, Government is planning to have a target of 160 million and 600 million broadband customers by the year 2017 and 2020 respectively. 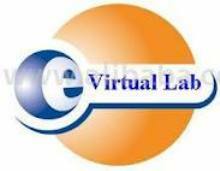 Government of India launched Virtual Labs — a collection of ninety-one virtual laboratories containing hundreds of experiments in nine disciplines of science and engineering. As part of Ministry of Human Resource Development(MHRD)’s National Mission on Education through Information and Communication Technology (NMEICT), Virtual Labs is part of a comprehensive undertaking to provide easily accessible and high quality education throughout India. Virtual Labs’ primary focus is to provide graduate and undergraduate college and university students with the ability to perform their required laboratory experiments using only the World Wide Web, a standard computer, and an Internet connection. Drupal is a free, open source social publishing platform – that enabled the survival of famous news website of Al Jazeera amid the escalating pressure; besides latching global governments onto its services. Over 2 per cent of all websites worldwide, from blogs to corporate, political and government sites use Drupal as their back-end system. This includes the United States government's official website, the www.whitehouse.gov. It is a software package that allows you to organise, manage and publish content, with endless customisation; Drupal is used by millions today. And, India is now as much a part of this online revolution. Various government organisations, including the Ministry of Communication and Information Technology and the Indian Council of Agricultural Research, have adopted Drupal as their communication platform over the past year. On Sept. 23, European scientists in their experiment called OPERA (Oscillation Project with Emulsion-tRacking apparatus), announced that they had observed neutrinos, a class of subatomic particles, traveling faster than the speed of light — the universe’s fundamental “speed limit.” Since then the scientific community has been hotly debating its validity. But MIT professors confirmed that there’s a 98 percent chance of a systematic error while calculating the speed of neutrinos.